Summary: This post tells how Samaritan Ministries’ health sharing ministry has performed for us as early retirement health insurance. To catch everyone up on this series, in part one I talked about the health insurance options we considered as part of early retirement. In part two I discussed why we selected Samaritan Ministries for our health insurance. In this last part I’ll cover how we needed Samaritan’s coverage and how they delivered. In early November I noticed I had an unusual red spot about the size of the end of my pinkie just in front of my left ear. I tried putting lotion, Vaseline, and Neosporin on it to see if it would heal. It would not. So I made an appointment with my doctor to check it out. I went to his office in late November and he didn’t like it. “We better get it checked out,” he said. He referred me to a dermatologist. My dermatologist appointment wasn’t until after the New Year, so I kept up with the lotion, etc. Nothing worked. In fact, the spot looked more red (and more “mad”) than ever. Just after the New Year it started to bleed. I knew that wasn’t good. They took a biopsy and sent it in for review. They said I should have results in three weeks or so. By the end of the month the diagnosis was confirmed as basal cell carcinoma. The doctor had told me that if it was basal cell carcinoma that he would recommend Mohs micrographic surgery to take care of it — that this is what he’d do if he had skin cancer. So when they called me to tell me the results, they also asked if I wanted to set a date for the surgery. I said I did. We agreed on a date in early March, a month later (the first slot they had open — good thing I wasn’t going to die anytime soon). She then noted that I was a cash pay patient. I confirmed that was the case. She said they would then need to take a deposit of $1,000. Uh, no. Homey don’t play that game. I told her that I needed at least an estimate because who agrees to pay for something when they don’t know the price, right? This seemed to befuddle her, like no one had ever asked and I was some sort of crazy person for doing so. “Yes. Yes, I do,” I replied. She asked me to hold and I was immediately given the non-descript music that every doctor’s office features when they put you on hold. Why Don’t They Know the Prices? Let me pause here and say that this, “What’s that cost?” question had also come up at my original doctor’s office with the same reaction among the staff. Anyway, she asked me if I wanted to get a shot. I asked how much they cost. She said she wasn’t sure and again asked me if I wanted one. I said I wasn’t sure and would not be sure until I knew the price. She looked at me as if I had just landed from Mars. She said she’d check. She left and came back a few minutes later. “The flu shot is $75,” she said dryly. Now she really looked at me like I was crazy. “I’ll pass today,” I said and she left the room. When the doctor came in he asked if I’d had my flu shot. I said I had not and asked if he had any idea how much he charged for the shots. He did not. “You have them for $75. I can get one at Walgreen’s for $39,” I said. That’s why I love my doctor. He’s such a no-nonsense guy. The receptionist/nurse (I’m not sure what she was) at my dermatologist’s office came back on the line. I about swallowed my tongue. What happened to a “simple procedure”? Simple procedures don’t cost $3k to $5k. At least I didn’t think they did. I immediately wondered if I was going to have to pay the whole amount myself. I could afford it but really didn’t want to fork over another big amount after spending $4k on a new furnace. I needed back-up. Thankfully my wife heard much of the conversation. I told the lady I was going to turn it over to my wife. They chatted, hung up, called back, chatted some more, and my wife now had an estimate of $2,000 or so. Not sure what she did to get that, but it happened. We gave them a deposit (on a 2% cash back card — they said this was a discounted amount and would not discount further if we paid cash) and that was that. The next day, my wife called Samaritan Ministries and told them about the issue, diagnosis, and recommended treatment. The guy on the other end took all of our information and then gave my wife instructions on the documents needed to get reimbursed. He said it was likely they would cover everything from very start of the incident (less our $300 deductible) which was the visit to my primary doctor. I was relieved, thankful, impressed, and happy we had selected Samaritan Ministries. She did and the Samaritan Ministries customer service rep prayed for me. For my healing, for the doctors to have wisdom, and so forth. Now many of you might think that prayer is about as effective as blowing into the wind. But I do know one thing even most doubters seek when a sickness/illness hits them or a loved one: prayer. I can’t tell you the number of friends I have on Facebook who have absolutely zero belief in God. And yet when their wife gets sick, when they get cancer, when their son is in a car accident, and on and on, they ask for prayer. I want to ask them exactly why they want prayer when they don’t believe there’s a God, but instead simply add them to my prayer list. And, of course, we could have always refused. He didn’t have a gun to our heads while asking if he could pray for us. So while the prayer over the phone was kind of awkward (having a stranger pray over a phone is certainly “unique”), I appreciated it. And knowing that many people in my situation would too, I thought it was very cool. The doctor said he was glad we did the procedure as it would have been a lot of trouble for me one to two years down the road. I then went home and suffered through one of the worst weeks of my life. It wasn’t the surgery that was so bad — the flu was the killer. During the worst two days I wasn’t sure I was going to make it — or if I wanted to. It was bad. But I survived. Ten days after the surgery I was back at the dermatologist’s office getting my stitches out. I’ve taken care of the scar since I got it and it’s healed nicely. Thankfully it’s on the side of my face and not the front. I go back in six months for a check-up with the dermatologist. We had requested the cash discount from our doctor and they supposedly gave it to us. I say “supposedly” because they said they do give discounts for cash pay and that’s what we’d receive. When we asked for a receipt listing both the retail price as well as the discount price you would have thought we asked them to send us to the moon. Supposedly their systems could not do that. So we couldn’t demonstrate the discount to Samaritan Ministries and thus take the savings off our $300 deductible. We paid the office for all the charges (again using a 2% cash back credit card) then submitted the itemized bill to Samaritan. The doctor’s office gave us a typed statement on a plain sheet of paper instead of a regular bill on letterhead which is what we needed. This was part of our learning curve — understanding what we needed to submit and in what form in order to get reimbursed. We requested the correct documents and once we knew what we needed, subsequent bills were easy to handle. Uploading the bills to the Samaritan Ministries website was fairly easy. My wife took a picture of the bill and uploaded it. That’s it. We received a check for the first need submitted within a month. The next bill was submitted later and soon thereafter we began to receive checks from other members all across the U.S. Most of them contained cards or short notes wishing us the best for a fast recovery. It was awesome! So far, so good. Samaritan Ministries has been everything we hoped it would be and we’re 100% satisfied. I’ll post again if/when we have an update to this information, but until then consider us completely satisfied customers. If you’d like more information on Samaritan Ministries, here’s a short, handy request form I asked them to create for ESI Money readers. It takes about one minute to complete and you’ll receive their entire information packet. 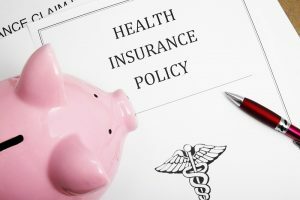 There are pros and cons to every health insurance policy. In this case, the premiums were high for us under the ACA but if something disastrous happened ($1 million bill) it would cover more. SM was cheaper monthly but has its limits. Like with most financial decisions, you need to pick your poison (so to speak). I’m not saying that everyone should join a health share. I get asked what we did for health insurance at least once a week and that’s just what this series is — a detail of what we did. If you investigate and find a health share works for you, great. If it doesn’t work for you, that’s fine too. I have no idea what your specific situation is and thus can not recommend what is “best” for you. As one reader suggested, I might try to get my income to be low enough to qualify for discounted rates under the ACA. Still more work on that to see if it’s possible with so much rental income. Anything I missed that you’re wondering about? Update: For those of you looking for another alternative, you can consider Medi-Share. First of all, I’m so glad your procedure went well and this story has a happy ending. Also, I’m a big fan of prayer so I thought it was really cool that your insurance service rep prayed for you. Now my rant: I have had similar issues with my doctor’s office on finding out the cost, except in my case, I wasn’t smart enough to ask before the procedure. My doctor had me do all these “simple” procedures for an issue that I mentioned back in the fall. We have a high deductible plan, and the procedure was done in December, so we were on the hook for $1000 for a procedure that I found out wasn’t even necessary. I brought it up with my doctor, to let her know that she might want to actually talk to her patients about the cost of things before having procedures done that aren’t necessary, and she acted like I was a crazy person. Why can’t our health care providers tell us what things cost? It’s not a crazy request. Lack of transparency means higher costs for all of us. Also, I am so glad you have decided to get your vaccinations. Please have your wide read up on the hundreds and thousands of scientifically researched studies on the efficacy of vaccinations. They have literally saved millions of people. My brother-in-law, a Chilean, walks with two leg braces today because of polio. He was born before the vaccinations made it to Chile and his life has been filled with pain and disability for a vaccine-preventable illness. The small number of studies questioning their safety have been summarily disproven (Can you tell I’m passionate about this subject?). We get vaccinations for everything else. For some reason the flu ones are on the “bad” list. That’s because the flu shot is a “shot” in the dark. No pun intended. Other vaccines work almost 100% while the flu strange changes so much that the doctors could only do so much. This year the shot was very ineffective so a lot of people still had it. Either way, you should still get it. I haven’t had a flu vaccine for about 5-years now. I haven’t had the flu. There are dietary decisions that I make that I believe give me a better chance than the flu vaccine. I have had all other traditional vaccines. Like I said, they aren’t all created equal. Does anyone have experience with Christian Healthcare Ministries? I’ve been with them since January, sending $150/month, but have not had need to “share” any expense with any others. Just wondering why you didn’t mention them, when they are among the 3 largest sharing ministries to my knowledge. They are advertised on the Dave Ramsey show, but at some point in the next three years before we retire, I am hoping there is a good high deductible, relatively decent priced insurance plan. I have no problem paying for the service going to a Dr. once a year. It’s when you have to have surguries or other major medical issues I want covered. Good to hear everything worked out with your BCC and procedure. That must have been the worst flu, glad you made it through it too. I also believe in the power of prayer and that’s pretty cool getting the cards and well wishes from other members. Thanks for this great series ESI. Anything coming on dental care/insurance? Probably not a post on dental care as it was much easier to do. We called several local offices that were recommended either by friends or on Nextdoor, asked for their cash pay family plans (some had and some didn’t), and picked one close to our house. I believe the one we went with was $500 for the year (which includes x-rays and two checkups per person — 8 total) plus $25 per visit. But I could be wrong (my wife handled it). In the end, the option we picked was a couple hundred dollars lower than any other choice. Thank you so much for sharing your experience. I’d heard about health share ministries as an option for health care coverage but didn’t know many of the details. I still have almost 10 years until I’d like to retire (at 50), but since I’m single and childless, a health share ministry sounded like a viable option. Greeting from Michigan. We are here visiting family. Last August my husband had 2 kidney stones. He needed 2 procedures which cost a total of $37,416. That included: primary care MD visit, CT scan, urologist visits and surgery, medical devices-ureter stents, anesthesiologist, nurse anesthetist, OR time at the hospital and lab analysis. To save time and money we pulled the last stent out at home –we found directions on You tube. If we had Samaritan Ministries, would we need to pay that entire amount upfront less any discount we could negotiate? I’m not sure about Samaritan, but Christian Healthcare Ministries encourages you to set up a payment plan. As you make affordable payments based on your budget, you are reimbursed those amounts within one or two months of providing proper proof. This is an excellent sort of question to ask any health insurance provider you may be considering. I would encourage everyone reading this to do so when they are in the process of selecting a health care plan. I don’t speak for SM and have no idea whether it would be covered or not. My guess is that it would — but that’s all it is, a guess. Give them a call (or email if you prefer) and ask them (or others) what would have happened in your case. The thought of putting our retirement savings at risk makes me hesitant. However, the thought of paying $2000 per month in premiums plus $13,000 out of pocket makes me sick (no pun intended) and would probably mean that I continue to work until Medicare age. I’m guessing you went through a similar thought process and I’d love to hear how you were able to finally get comfortable with the decision to go with a ministry healthshare. Hopefully I can follow a similar path. By the way, both me and my wife have gone through the Mohs surgery. Not fun! Glad to hear you’re doing well. Thanks again and continued retirement success. 1. Lawyers. They put in everything that can possibly go wrong even in the most extreme situation. Sheesh. My guess is that they put this in “just in case” the world ends. 2. In the worst case scenario, even a large, publicly traded insurance company could go down and you could be left with the bills yourself. Look at what happened in 2008 and 2009 when “too big to fail” companies failed (or were close to it). 4. I believe my wife asked them about this and they have never had a non-payment issue in the company’s history. So that gave us some confidence. 5. We had a couple friends who have used them for over a decade and neither of them have ever had any problems with payment. That said, this is another excellent question to ask any health provider when you are shopping for insurance coverage. Thanks for writing up this series, ESI. If and when we move back to the USA I will be looking up Samaritan Ministries as well as other alternative options for insurance. This is very helpful. Here is Asia it’s very easy to price shop for health care- the opacity of the US pricing model is mind boggling. And it’s equally interesting that most of the clinicians don’t even give this much thought (witness your doctors honest reaction to something he had never thought of before). Most clinicians in the USA are more focused on how they are going to collect their fee for service from the insurance companies or the government who repeatedly negotiate on the bill and may deny payment based on how the coding was done. Delayed payments and extensive follow up is also the norm. Of course the patient pays for this in the end since many resources are required to handle collection and it’s got to come from somewhere. That is the elephant in the room with health care in the USA. Exactly. This is why some will consider a discount for cash pay — it cuts down a TON of red tape and they get their money now versus three months from now. So happy to hear things worked out with the surgery! That flu must have been rough. It’s great you had a good experience with Samaritan – it’s definitely one I will check into when the time comes. It’s always worth a try. First, thanks for this series on healthcare. It’s incredibly fascinating. A few more follow up questions if you don’t mind…is the list of what is/is not covered well defined? I would hate to sign up and then come down with something that I thought was covered, but is actually exclude. Is the coverage worldwide, meaning will they take receipts from any healthcare provided anywhere? Lastly, how much of your condition is shared with the members paying your bills? I value my privacy, especially with medical conditions. RE: procedure costs…I’ve had HMO coverage through work for as long as I can remember, so I’ve never had to ask how much something costs. I’m surprised that healthcare in the US is so opaque as far as costs (I guess, you can’t expect the provider to memorize all the pricing tiers/discounts). Maybe if we move to single payer, things would be more transparent and costs would go down. I read that there is some legislation in CA to move to a single payer system. 1. Each health share has their own rules on pre-existing conditions and how they are treated. So something may or may not be covered accordingly. There’s no prescription, dental, or eye coverage. Other than that, I don’t know if anything else is excluded. 2. I believe the coverage is worldwide, but that’s only a belief. 3. The condition is shared in general. For instance, people knew I had BCC. Most of them included a note saying they hoped I was better soon and they were praying for me. I was kind of weirded-out about the info sharing at first too (not to mention sending checks to people instead of a company), but I’ve actually found it quite nice. It feels like we’re all kind of in it together, which we actually are given how health share ministries work. So glad to hear this update…you really had my going after that cliff hanger in the last post! And what a great test drive on the new health share, thanks for the review. We have a few years before we’ll need to cross this bridge but this is great to have in the back of our minds. We’ll see how the insurance landscape continues to evolve. Thanks for sharing. Healthcare is such a big deal for the early retirement community. Good catch on the basal cell. You can’t ignore that kind of stuff. We’re still on my wife’s employer’s plan so I haven’t paid much attention to the bills and procedure cost. That’s probably one reason why everything is so expensive. Most people don’t even ask how much it cost. ESI Guy, glad things worked out ok. Prayer rocks! I really appreciate your posts on the Christian Health Sharing Ministries. Mrs. Wease brought this up a few years back when a somewhat lengthy COBRA insurance stint was unfolding. I did not really take it seriously, at the time, but hearing your thoughts and experience will make me take another look, when the time comes. Mrs. Freaky Frugal and I have an ACA plan. Since we’ve FIREd, our taxable income is so low and our High Deductible Health Plan is so cheap that we actually make money from the subsidy. I sometimes feel slightly guilty. Our deductible is over $10K though so it’s a risk. We pay for everything with an HSA and we max out contributions to it every year. Thanks for the great series on Health Shares – I hadn’t even heard of it as an option. Disclaimer: I work in the pharmaceutical industry, and my wife is an internist, practicing in a large multi-specialty group in the northeast. First, I’m glad everything worked out well. With regard to the flu shot: I would imagine you kicked yourself over the $36 difference. I missed the part in the original post where you said you’d be getting one next year. There is no difference between the flu vaccine and other vaccines with regard to safety. So not sure why your wife feels this to be the case. You might wonder why Walgreen’s can offer the vaccine for so much less than your doctor. The reason is pure economics. The doctor’s overhead is much higher than that of Walgreen’s. They pay more for the vials of vaccine, and have to pay upfront with no guarantee that they will sell all doses. They pay more for staff, using more highly trained staff than a Walgreen’s (not that those at Walgreen’s perform any worse than whoever gives the vaccine at a doctors office, it is just that on average, staff in a doctors office will be more highly trained than the average retail pharmacy. You might also be interested to know that many insurance companies, as well as Medicare, consider quality of care in the reimbursement algorithms they use. % of patients vaccinated is a key metric when QoC is assessed. Many epidemiological studies have verified the value in real dollars the benefit of vaccination, which is why it is stressed. With regard to the costs: Frankly, the way you discuss costs irks me. “I about swallowed my tongue”…I’m sorry you got sticker shock. While I agree that it is difficult to get clear answers on the cost of medical services (with the exception of optional procedures like cosmetic surgery), it make sense that this is the case given the complexities involved. There are a few reasons. Medical care, particularly procedures, involves unknowns and extensive variability: Some procedures (imaging for example) do have clear fixed costs, and pricing is available and comparison shopping is possible. However, you still need someone to interpret the scan/xray/ultrasound. Given my wife is a doctor, I have an easy way of determining quality of a doctor, and how much I am willing to pay that particular provider for interpreting my test. For example, if Dr X charged $100 to interpret an MRI, and Dr. Y charged $1000 for the same service, I could evaluate their competencies based on my wife’s experience, and factor in the complexity of the evaluation, and determine who I would have read my film. It would be “worth it” to have the better doctor (if Dr Y was indeed evaluated by my wife to be superior) read my film. If you don’t know Dr X from Dr Y, good luck making that determination. So if you shop for healthcare services solely based on price, you might or might not get the best service. Further, you might not like this, but you are a snowflake. In fact, we all are snowflakes. So while your dermatologist has likely performed many many, many Mohs procedures, and there is an average number of rounds, each lesion they see, and each patient, is different. You might require more or less anesthetic, you might bleed more or less than other patients, your lesion might have been deeper and more complex than it appeared on the surface. So a more appropriate question or response would have been to ask for a range of costs, or for the office staff to have given you a range of expected costs. Also doctors office is not a store, nor has the healthcare system evolved in such a way that most practices are used to having office based employees discuss pricing. Now, perhaps this will change, but it will only change when more people ask about costs up front. unless there is demand for that, obscurity of costs will persist. No doctor EVER took a class in medical school, residency, fellowship or at a medical conference that told them how much to charge for this procedure or that exam. Those prices are typically set by insurance companies and are likely based in part on what CMS (Center for Medicare and Medicaid Services) establishes. That reimbursement is heavily lobbied for by Physician organizations of course, but not by by individual doctors. I can tell you my wife has no idea how much is billed by her practice for different levels of care, and I would imagine neither did your surgeon, nor the pathologist that sat in the office waiting for each bit of your carcinoma to perform the histology in real time while you were on the exam table.In addition, the receptionist likely doesn’t perform billing, nor do the nurses. It is in fact possible that there is not one patient facing person in that office who has any information on billing if the office outsources accounts receivable. The final thing that irks me about these types of discussion is the undercurrent of “value”. you directly compare the cost of this procedure, and by extension (at least in my interpretation) to the cost of your recent furnace replacement. I find that somewhat insulting. The same for the person who discussed the cost of the kidney stones. Like the cost was outrageous. People compare medical costs in the US to to other countries, which is not a fair comparison. They want immediate access to medical care, and they want it to be “affordable”, but the reality is that providing care is not free. It cost my wife $145,000 to get her MD. In most other countries globally, medical school is free.My wife has overhead to cover, in countries with government sponsored healthcare, that is covered by the government. I think you’d be surprised that my wife and I are staunchly supportive of the fact that access to affordable healthcare is a right, not a privilege. We need to figure out a way to make that happen. At the same time, people who think nothing of spending $100’s on a meal out, their daily latte habit, $1000’s on their flat screen TVs or tens of thousands on their new cars but crap their pants at the cost of seeing the doctor get no sympathy from me. Your doctor trained for years and years for a smaller income than you pay your furnace installer, but I guarantee you has a much higher write off rate once in practice than the furnace installer. People need to get their priorities in order in my opinion. If you read this site for more than two seconds you’ll know that I don’t “spend $100’s on a meal out, have a daily latte habit, [spend] $1000’s on [a] flat screen TV or tens of thousands on [a] new car.” I didn’t become wealthy by wasting money. I did become wealthy by knowing what I was getting for a given price. Sorry if that question seems out of left field for a doctor, but times are changing. Those that have the answers will do better IMO than those who don’t. Plus there are vastly different prices for the same thing. My daughter needed a physical for college (very simple check-up). My wife got doctor recommendations from friends, called around, and found one doctor who charged $175 and one who charged $90. For the exact same thing. Guess which one we went to? Sorry if price shopping is offensive to you, but this is America and consumerism is part of life in everything — including medicine. If you ask me (which I know you didn’t) the fact that people don’t know/check prices for their medical care is part of the problem. They figure “someone else is paying for it” (employer/insurance company) so they don’t care what the prices are. Hence prices tend to rise without checks because people have no regard for costs as it’s someone else’s money. As for pricing on my procedure, I didn’t need to know that the price was $3,456.27. That would be crazy. But surely someone could tell me if it was in the ballpark of $1,000 or the ballpark of $10,000, right? That doesn’t seem so unreasonable a request to me. You missed my point. You might think that the two doctors were the same, but the fact is, you have no way of knowing. Sorry, but you saying that a physical exam is simple is not the case, and I would bet the quality of the doctors that performed those exams was not the same. My wife comes home every day with stories of obvious features/issues that other doctors missed that she caught. So, go right ahead and continue to seek medical care based on price and not quality. Interestingly, it is not a given that the more expensive doctor is the highest quality. But for me and my family, we make decisions about healthcare based on quality first. With regard to my rant about people prioritizing consumerism over medical care, obviously I was not implying that was the case in your situation. But if you think there are people who don’t pay their doctor but do have the latest bevy of gadgets, think again. Your assumptions are that lower prices equals worse care and higher prices equals better care, which IMO is a false assumption. Do you make this leap of faith in any other area? Probably not. Consider a car dealership. Probably the highest prices for car maintenance. Is it “the best”? Not in my experience. They simply have more overhead and have to charge more. How do we know that the higher priced doctor isn’t simply paying for his fancy office so he has to charge more? Or maybe he’s not as good of a business person and can’t control costs. Or perhaps he’s just greedy and wants to make more. There are a whole host of reasons one might be more expensive than another that has nothing to do with the quality of care. The fact is that the lower priced doctor may actually offer BETTER care. There’s no way of knowing either way. And to assume that a higher price means better quality is a very false assumption IMO. Remember, both these doctors were recommended by friends as “good”, meaning the care was likely comparable (or at least acceptable to our friends). If one was bad, our friends would not have recommended him. And yet one was much cheaper, making going there a better value — which is what we buy on (not price). That said, the appointment was not cheap overall. It’s not like we paid $5 for care. $90 for 10 minutes and to sign a college form that says she’s in good health (when she’s clearly in good health, we knew it and so did the doc) was a bit overkill. “A simple procedure” shouldn’t equate to over $2K either, but Dr. themselves don’t know the costs and what they deem simple, may not actually be. My child had an ER visit for what we thought was appendicitis. Thankfully, it wasn’t but the visit was still around 10K after all of the tests and procedures. I had a “simple” endoscopy, which really isn’t all that simple. It might not take a lot of time, but a Dr., two nurses, and an anesthesiologist were required to be present. And I ended up needing a biopsy. Healthcare hasn’t had to be transparent, so it isn’t. Overall, I spent about 2 hours and 30-minutes at the hospital. The whole thing was around $4K (I think). The ER visit seemed crazy expensive, but it was the ER after all. The endoscopy, not really when you think about it. By the way, we did have a new furnace installed a few years ago. It was about $10K for about 6 hours of work, 3 staff, and the equipment. The owner of the company may have his MBA, but on a whole, probably a lot less overhead. As to priorities, I had to charge the furnace, but the hospital let me make payments with no interest for the above visits over 3-years or so. That was quite generous. I will point out that I “pre-paid” over $12K in premiums for the right to access the healthcare. I didn’t have to pre-pay for access to the furnace. Healthcare is such a huge monster. I am not a fan of single-payer, but I don’t really see how a private solution can slay the dragon, especially when so many people feel they are entitled to it, even if they want someone else to pay for it. There are no easy solutions on this front. Over the course of many years, a doctor should know it costs X hours to be in surgury. That the person putting you under charges X dolllars per hour. That is why they have all the medical billing. Yes, everyone is different once they get into surgury or in an office for a checkup. There can be base line prices with the note of this is an approximate price…. there are some costs that can be estimated. I used to work for a general practice doctor’s office, and I can absolutely agree with interviewJason. We were small and input the codes in house, though we had a separate billing co, but we wouldn’t know until the doctor marked on the form what the costs would be. Most patients didn’t care because they only worried about their copay. Sometimes the self-pay discount is just the difference between what the office charges and what Medicare reimburses for the procedure. The doc I worked for reserved pharmaceutical-rep samples for pts with no ins and usually went with the lower-cost “focused visit” code for their visits (yes, the more complaints you bring up, the more complicated and costly the visit–understandable, but no way to gauge when you’re crossing that threshold). As a self-pay pt now (don’t get me started on falling through ins cracks with a disabled husband…), we’re blessed that we can afford our med bills–despite the cringe-worthy amount we’ve had to swallow over the last year. In our experience, some nurses will slip us an extra supply or three, but generally people are flabbergasted at the lack of insurance and don’t know how to handle it. One local mail-order pharm kept treating us like second-class citizens because we were more hands-on with our order and wanted to pick it up (saving $11 off their “free” shipping). The s/pay benefit was that we didn’t have to put up with their lack of customer service and took our business elsewhere. Wish I had your wife’s bulldog negotiating skills, though. At least ebay had the specialty bandages we needed for 1/3 of the pharm cost. This is a great comment as I noted above. You are a brave guy. I don’t think I would have the guts to negotiate with the doctor’s office on the cost knowing the diagnosis. I would’ve freaked out and would’ve just gone for the procedure, no matter how much it cost. I’m so glad you are doing well and made it through the procedure like a trooper. Great discussion here ESI and glad you had that taken care of. I totally agree that people only care about the co-pay and that almost no one “shops” their health care. Have you heard of Amino? https://amino.com/ I’d go check them out. I’ve done some writing for them and they are up and coming in terms of making costs more transparent. I have not heard of them but certainly will check them out! Thanks! You mentioned prescription drugs are not covered by Semaritan. Since some prescriptions can be very expensive, is that just a risk you are taking or do you have a plan for it? Great series and very useful! Thank You. If you figure out how to reduce taxable income from your rental income enough to help qualify for ACA benefits that actually works for you in early retirement, it would be great to find out. I have a similar issue. Thank you for sharing your experience, and I’m glad it all worked out well for you. That the health share ministry paid their share for the ~$4k procedure does not give me comfort or confidence to use them. My concern is whether they are regulated or responsible to follow any particular standards. I’d assume they are legally bound by the contract, but I’d be interested to hear from someone knowledgeable in health care law whether these contracts adequately protect the members. When I was 53 I had to have emergency open heart surgery (triple bypass & valve repair), even though I had virtually no risk factors other than a cholesterol of 215 and a stressful job. Medical bills that year were in excess of $300k, which my employers insurance took care of other than my copays of about $3k. I reach FIRE 2 years later and now pay for my own HDHP with an HMO. My concern is how do the health share ministries handle their actuarial planning, and how will they hold up to a skewed population or unexpected surge in costly member health issues. In addition, how much assistance will they provide when dealing with disputes with providers. Nearly 4 years after my heart surgery, the medical group of the surgeon sent me to collections for $90k!!! It turns out that they claimed my insurance company didn’t pay them, so they sent the amount to collections against me (I had moved out of state, and never received any bills). While I did get a lawyer, it was my insurance company that sent me all the Estimate of Benefits documentation I needed to prove it was a bogus claim, and the insurance company convinced the provider that they were in error and they were legally obligated to write off all amounts beyond my copay and the contracted service fee (which the insurance company paid within the contracted period). I did not read the post carefully but my impression is other members sent you money to cover your costs? Your bills were not paid from a central location but rather from individuals? I read the brochure that Samaritan has available for download. Unfortunately, I am not able to work with an organization that is so faith based. Yes, other members sent money to cover my costs. While the people who agree to allow their contributions to cover your current medical costs do so voluntarily and with no contractual/regulatory “guarantee” that you (and others like you) will help share in their big medical expenses when that becomes necessary for your benefit, each of those members also has a selfish incentive to keep making monthly contribution to help you so that they remain eligible to be helped when they need it. In this respect, it is no different than paying contractually, regulated health insurance premiums when a person is healthy and not taking out as much as they are paying in. The primary “faith” is that the ministry is well run and not undercharging the monthly amount so that a day of future reckoning causes many big claims to go unpaid. Based on the long history of many of these healthcare sharing organization (along with some fraud and abuse along the way, unfortunately), my decision is that the lower monthly cost and somewhat more restrictive benefits were worth the trade off. Thanks for this detailed series. I hit Financial Independence at 42 and have been fine with ACA until now. My premiums are set to sky rocket for 2018, however. So am exploring other options. I appreciate the detail you put into each article. In my opinion the use of an insurance company between the provider and the consumer to abstract away the prices is the root of runaway health costs in the USA. If every customer has cost estimates up front, that changes the whole ball game. I’m not saying that docs don’t deserve to get paid. I’m saying that having a middleman ends up costing the consumer. When I routinely get “bills” from the doc office showing that my insurance paid $150 for an $800 procedure (and the bill is written in a way that sounds like I owe the difference but insurance company says I don’t) you know that something is really screwed up with the system. I think the advent of high deductable plans (and health sharing ministries)will help the system substantially because it encourages people to pay attention to costs. Thanks ESI for a great series! Still with the same group? Changed to traditional, if so, why? Claims processing: After over two years on CHM (Christian Healthcare Ministries), I submitted my first claim for reimbursement last month, and because of a recently discovered health issue, another claim yesterday. The bills I have incurred are for an ER hospital and ER physician visit, two physician office visits, an ultrasound, X-ray, and blood tests. I was prescribed a medication that I am hoping is only needed temporarily, because if it is needed as a “maintenance” drug then it is no longer eligible for sharing (i.e., payment by CHM). Shopping for prices. Because you are paying out of pocket for most expenses (except ER visit, addressed further below) and paying cash, there is a definite incentive to check around on pricing. I learned that blood tests can be purchased online, ultrasound pricing varies significantly between provider in a 10-mile radius, etc. That part I really liked, because I feel like I am a real “consumer” for healthcare now. On the ER visit, when they learned I did not have insurance, I received a discount of 74% and 54% respectively on the physician and hospital charges. This par,t seems to work really well, and is probably why sharing ministries are able to hold the monthly share amounts (i.e., premiums) to such a low level, $150/month in the case of CHM. More time required. Shopping for health care and then keeping track of each expense incurred is more time consuming than just handing over your insurance card and waiting to see how much is applied against your deductible. So you must be ready for this part. CHM requires an itemized statement with the AMA codes for your service, which you must request from the medical care provider — usually with some time delay. The AMA codes are how CHM assures that they — and you — do not overpay. Pricing edge. This delay in reimbursing participants, or funding the expense so that the participant can pay off a balance, is in my opinion where CHM likely gains their best discounts, which they are in turn able to pass along to their participants in the form of lower monthly “share amounts” (i.e., what would be called premiums if this was insurance). Medical care providers know the low percentage of remaining balances that most patients who have not paid a bill within 60 -90 days end up paying — probably 30, 40 or 50% would be my guess. So this is where CHM really saves on the costs they expend on behalf of their participants, particularly with bigger bills exceeding a few thousand dollars. All in all, CHM fits my “consumer” habits very well. I will continue to update this post as I receive reimbursement, handle a prescription medication that could become a “maintenance” drug which CHM would not pay for any longer, etc. I should have referred to CPT (common procedural treatment) codes, not AMA codes. So far for us, it’s been great! Coming up on three years with them!